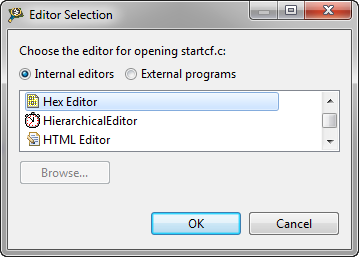 And here is number 4 of my ‘best of’ eclipse plugins: the Eclipse Hex Editor Plugin or EHEP. It is a great tool to inspect or change files in hex mode. Installation of the plugin is simple: Get it from the http://ehep.sourceforge.net/update site. The view comes with an ASCII column on the right hand side. The status information at the bottom of the view provides additional details, including hexadecimal, decimal and binary values. This entry was posted in Eclipse, Tips & Tricks and tagged CodeWarrior, Eclipse, Tips&Tricks by Erich Styger. Bookmark the permalink. Really good post. I just came on your blog and wanted to say i always have really really liked reading your weblog posts. Anyway I am going to be subscribing to your feed and I really hope you post again soon enough.